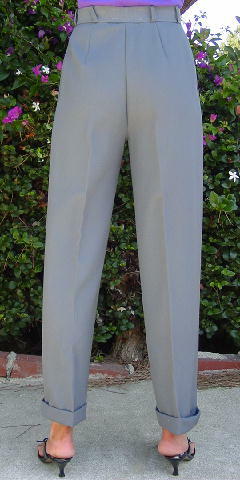 These vintage 100% wool gray-blue pants are by Saint Laurent and were made in France. They have a 1 1/2" wide waistband with belt loops (check out our belt section for a good match) and a one-button, one-hook closure. 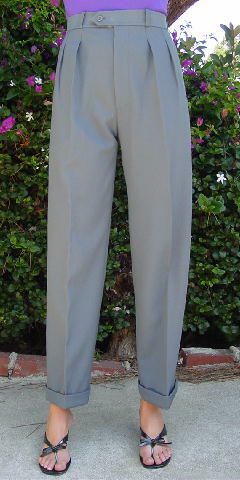 there is a 7 1/2" long zipper fly and 4 front pleats and deep angled side pockets. 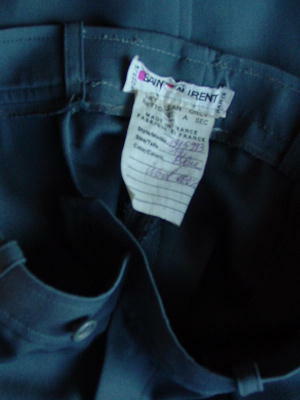 The pant legs have 1 3/4" wide cuffs. It's a nice fabric and color. waist to bottom cuffs 41 1/2"